The Israeli Air Force launched renewed strikes in the Gaza Strip on Tuesday night and early Wednesday in response to rocket attacks, amid growing concerns of war in the coastal enclave. Shortly after the start of the Israeli bombing raids, a rocket was fired from Gaza at an industrial park south of the city of Ashkelon, the army said. A spokesperson for the city said the rocket had been intercepted by the Iron Dome missile defense system west of Ashkelon. No injuries or damage were reported. Before dawn Wednesday, a second rocket was fired at Ashkelon. It was also intercepted by Iron Dome, with no reports of casualties, the army said. 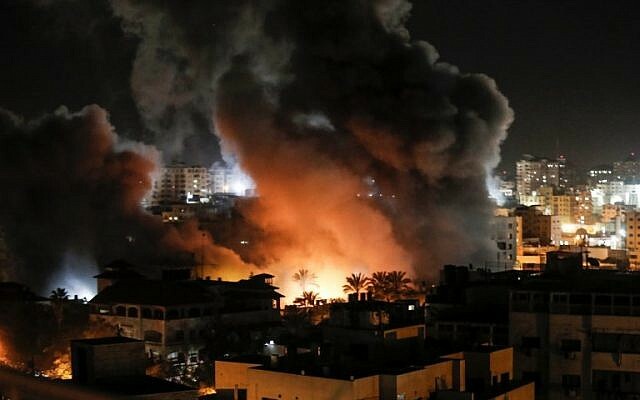 Palestinian media reported that Israeli aircraft bombed a number of targets connected to the Hamas terror group around the southern Gaza city of Khan Younis. 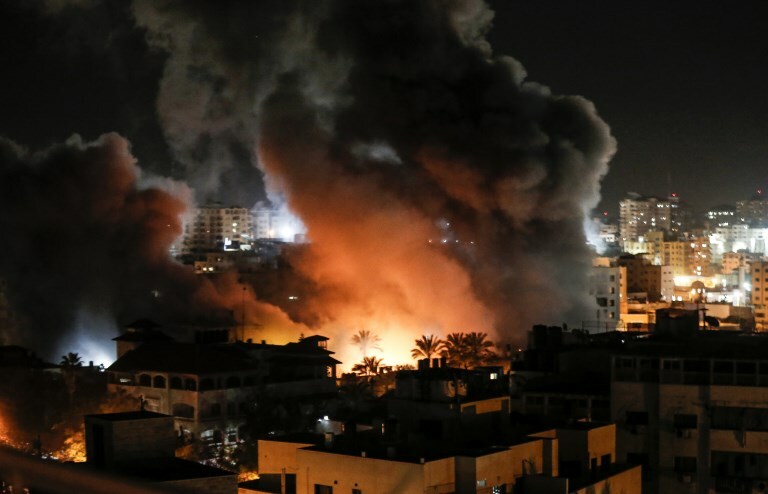 The Israeli military said its fighter jets targeted a Hamas military complex and weapons manufacturing facility in Khan Younis. 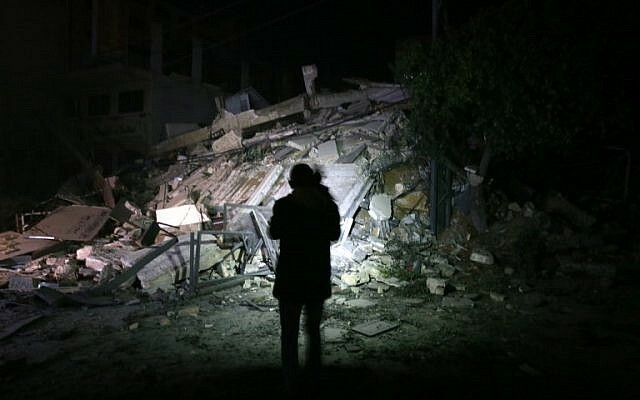 News outlets in the Strip reported that a seven-story building and underground infrastructure belonging to Hamas were also destroyed in the Israeli strikes. Later, in response to the first rocket fired at Ashkelon, IDF jets hit a Hamas military base in the southern city of Rafah, the army said. Shortly after 8 p.m., terrorists in the southern Gaza Strip fired a rocket at the southern Israeli Eshkol region. The projectile struck an open field, causing neither injury nor damage. Hamas and the Iran-backed Palestinian Islamic Jihad — the two largest terror groups in the Strip — said the rocket had not been fired with their permission and had been the work of a small terrorist cell or rogue individual, according to a Palestinian report. 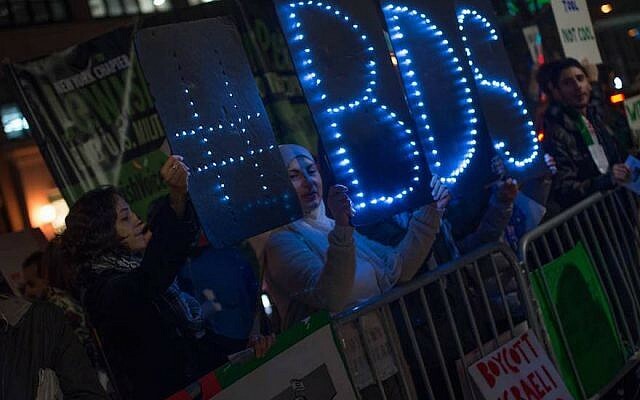 The groups also threatened to respond forcefully against any Israeli retaliatory strikes, saying they would expand the reach of their attacks. In its statement, the Israel Defense Forces said its strikes were in response not only to the rocket fired at the Eshkol region, but also to the launching of several airborne incendiary devices earlier in the day and a cross-border arson attack in which several Palestinian breached the Gaza security fence and set fire to an abandoned Israeli sniper’s nest. Tuesday night’s rocket fire came amid an unofficial ceasefire between Israel and the Hamas terror group, following a large-scale flareup on Monday and early Tuesday morning that began with a rocket fired from the Strip that flattened a home in a farming community of central Israel, injuring seven people, including two infants. In response to the rocket strike, the Israeli military launched a series of airstrikes in the Gaza Strip, destroying dozens of targets including the office of Hamas chairman Ismail Haniyeh, who’d earlier fled the building, and other locations that the military described as strategic assets for the terror group. 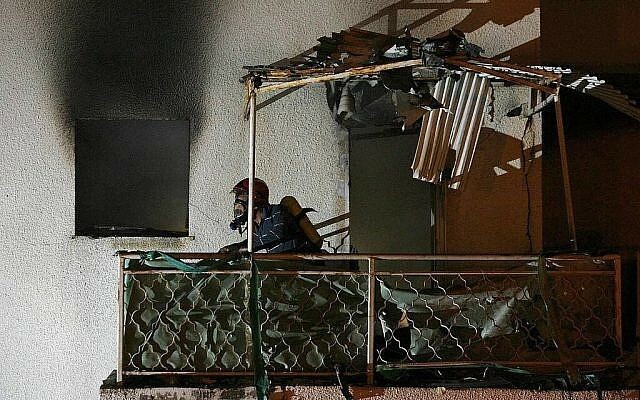 Throughout the Israeli bombing campaign, terrorists in the Strip launched some 60 rockets and mortar shells at southern Israel, causing no injuries, but some damage to buildings in the southern town of Sderot. The Israeli airstrikes and Palestinian rocket attacks ended around dawn on Tuesday morning, leading to an uneasy calm throughout the day. 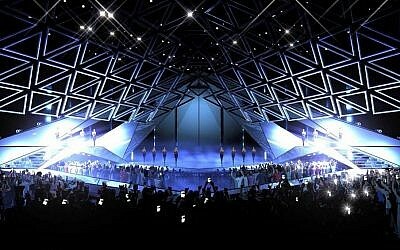 On Tuesday night, a senior Israeli government official, speaking on condition of anonymity, denied that a truce had been reached and threatened additional attacks on Hamas targets in the Strip. There are fears in Israel that violence will ramp up this week, with Hamas hoping to draw hundreds of thousands of rioters to the fence at the weekend to mark a year since the start of the so-called March of Return protests, which began March 30, 2018.